five.one.five.zero.zero. 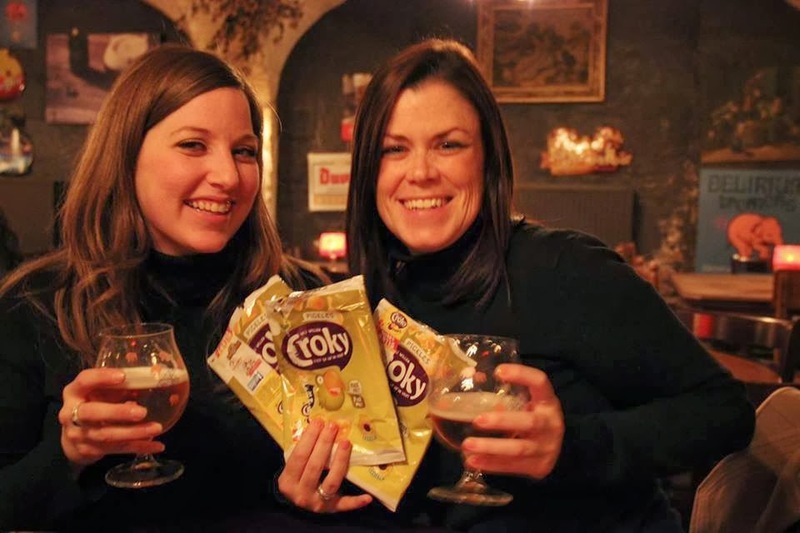 : Beer, Waffles, and Chocolate- The Perfect Trifecta! Beer, Waffles, and Chocolate- The Perfect Trifecta! Back from an adventure in Belgium this past weekend. First, meet Angela, one of my new travel buddies. I have a sneaking suspicion that she's a leading contender to be a regular travel buddy. We had a great time together despite the unfortunate weather you'll hear about shortly! Angela spent the last 3 years in Barcelona, but is originally from New York. She's teaching 2nd grade at ASM. We arrived in Brussels Friday night and we're so happy to see that our hotel (Thanks Cece!) was gorgeous and directly across from the train station. Since it was raining, this was a plus! The next morning we headed out to Bruges, about an hour away by train. Note to all future travelers...there are train discounts on the weekends, but they don't automatically come up on the kiosks. You have to search the weekend rates on the machines. Somehow this seems like an issue I'd expect to find in Italy, but not in countries I deemed more strict in their supposed organization. Belgium- 1, Carrie and Angela- 0. Found this little gem on the Coke machine in the Brussels Airport. Love, love, love. We spent a gorgeous Saturday in Bruges. We did the short canal tour, which while fun, it was difficult to understand the guide. He spoke at least three languages, told everyone who was wearing a hat he loved it, and muffled everything he said into the microphone. Oh well. Chalk some things up to experiences and leave it at that. 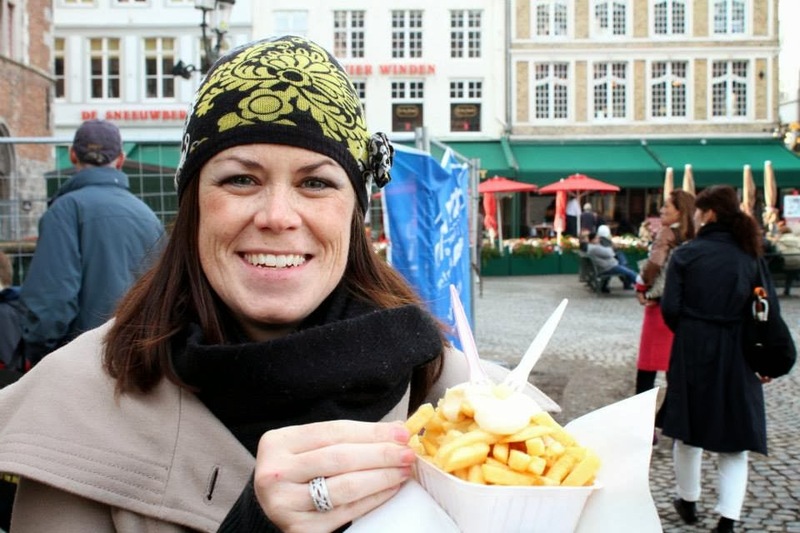 frites! which originated in Belgium, not France. After the canal tour, Angela and I headed off on our own. We wandered out to some windmills that edge the town. 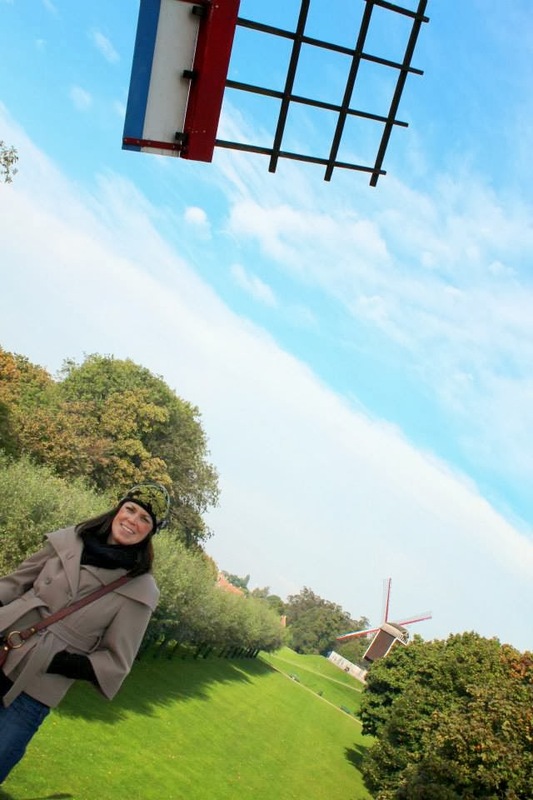 And I bet you thought those were only in the Netherlands. Well, you and I were both wrong! Look, someone besides me who will take crooked pictures! 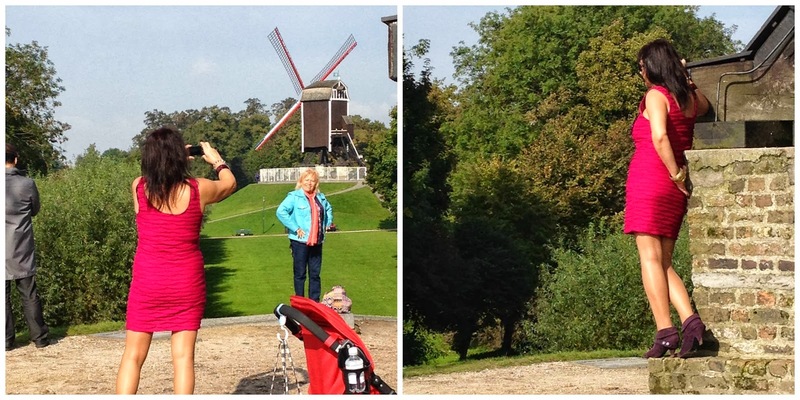 While at the windmills, I was ridiculously humored by a pair of women who were clearly posing for glamour shots. Hopefully, they weren't sightseeing, by my instincts tell me that they were, in fact, tourists. Mind you, it was a little chilly. After all that excitement, we headed for a place called The Old Chocolate House. I had read on Trip Advisor that they had some pretty amazing hot chocolate. I was skeptical because last year I ordered a hot chocolate in a nearby Italian town and a cup of melted chocolate was delivered. It was by no means drinkable. So, I decided to cross my fingers and hope for a better experience. Oh. My. Goodness. The hot chocolate was spectacular. They deliver a mug of hot milk and a chocolate cup with bits of your chosen chocolate inside. You pour in your own chocolate and whisk it up. YUM!!! Next up was a brewery tour at the De Halve Maan brewery. It concluded with a beer at the end, so it sounded like an excellent idea. There were 4 Henri Maes in the family before one had a daughter. She had a son. So, the brewery is operated by the same family, but the names have changed! We moved on to a couple other bars later in the day, both of which ('t Brugs Beertje and 't Poatersgat) we'd recommend for beer, but probably not for food. That seemed to be one recurring difficulty in Belgium. The bars didn't seem to serve quite as many food options as we were used to so by the end of Saturday we hadn't eaten anything but breakfast and a basket of fries. Pickle chips. 3 bags. Dinner. There are a lot less pictures of the next day and a half in Brussels. That's probably because it rained, was windy and cold. Bleh. Our solution was to stay inside and there weren't a ton of museums or things to do that interested us, so we went from bar to bar and chocolate store to waffle maker exploring the culinary delights. We explored the Horta House museum, which was a cool example of a house filled with art nouveau touches, but it wasn't worth the €8 entrance cost. Was reminded of one I saw in Paris in a similar vein. We had a beer at the Moeder Lambic bar (cool, modern, just okay during the day) then went to Mokafe for a waffle. It wasn't all dressed up like the waffles from the cheaper corner joints, but it was fairly delicious. 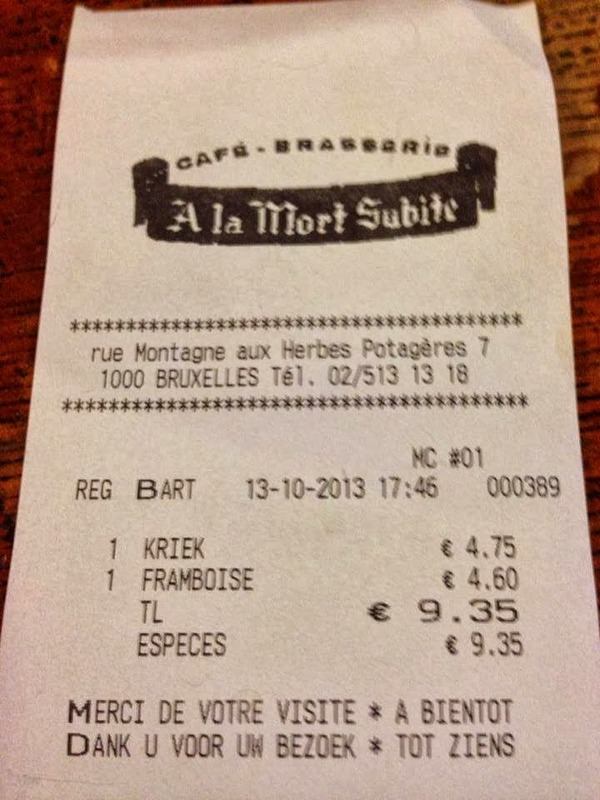 Next, we were off to A La Mort Subite. I was greatly humored by all the street names in French that I had no idea how to pronounce. This old school bar was on a street I delightfully named "Mountains of Herbed Potatoes." We also checked out the Delirium Cafe. I'm not quite so sure what the fuss is all about when it comes to this place. On Sunday, it was still raining and we headed out for breakfast and had an open faced omelette at Arcadi Cafe. We wandered about another part of the city and found the Royal Palace of the Belgian King. I wonder if he feels disappointed that the crowds don't gather outside his place like they do for Queen Elizabeth in London. The rain was a real drag. It was coming down sideways and making it annoying to be outside and take pictures. I was determined to get a few though to capture the experience. Here's a few other sights along our rainy walk. I guess this EU city is always ready for a good protest! I thought this clock was pretty cool. Then we decided it was time to shop for more chocolate and have a few more Belgian beers before we headed back. 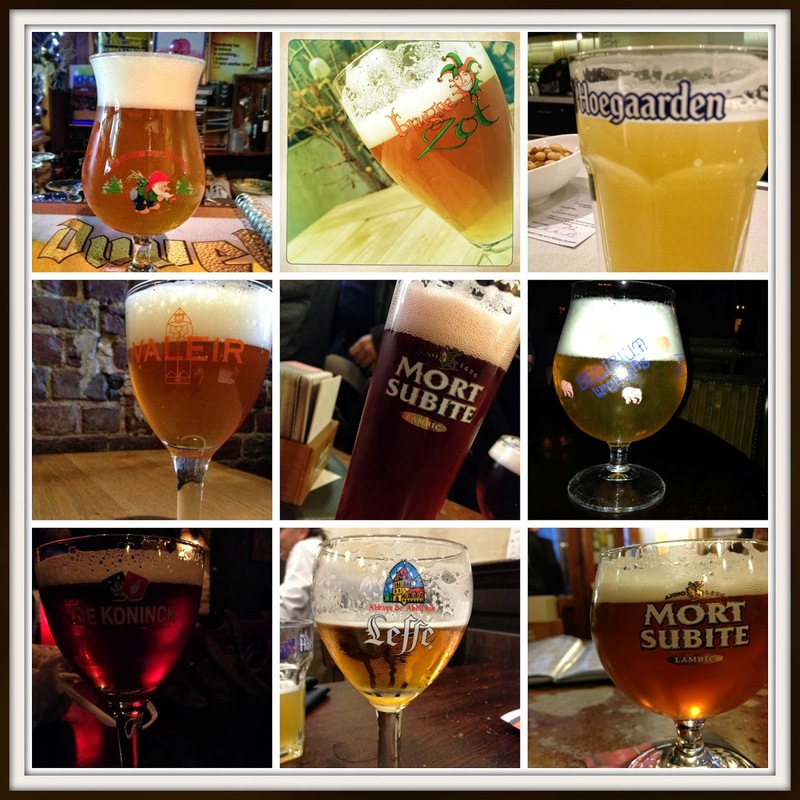 my weekend in beer- the Mort Subites were my favorite! Despite the rain, I had a great time in Belgium. It was country #21 for me and I'm excited to see the list continue to grow. I'm off to present at a technology conference at the International School of Turin tomorrow and then looking forward to a relaxing weekend of getting caught up on a lot of things, including cleaning my apartment and reading my book (We're reading "A Tale for the Time Being" by Ozeki) for our upcoming book club meeting. Looks like you are really enjoying the local culture everyplace you visit! Ok, one of these days I am going to travel like that. Until then, I will read your blogs. Sounds like a great time was had despite the rain. I like the pictures. The lady in the glamour dress is hilarious! Keep living the adventure - the rest of us live it vicariously! Thanks Ladies! Love hearing from you both! Save your pennies and let's go somewhere!